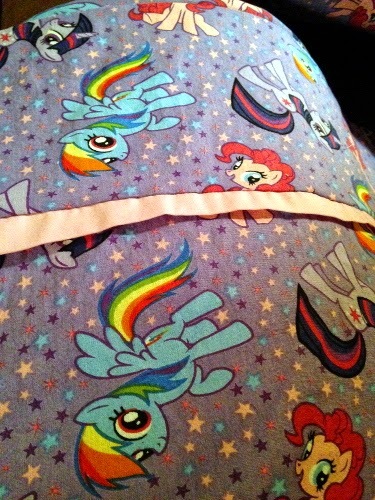 My friend likes Rainbow Dash, but reminds everyone of Pinkie Pie. And I’m definitely the Twilight Sparkle of the group, so this print is perfect! Anyway, this was a quick gift that I whipped up during the aftermath of Project Dirndl. It’s always sort of gratifying to make something quick, easy, and cute that is appreciated by others. 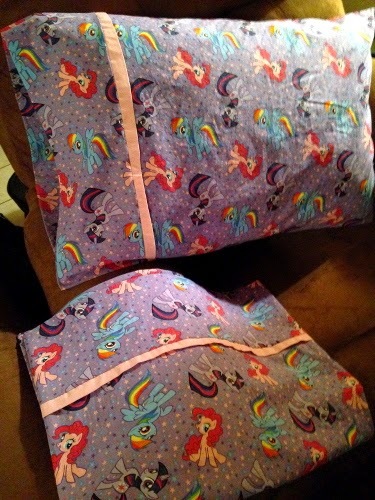 So, yup, pillowcases have now become my thing. Don’t be surprised if you see more of them in the coming months. They are really cute. This is something that's on my plans.